On the hunt for a new home? Lacking time and perhaps motivation? Seeking a gadget to speed up the process? We’re here to help by presenting you with the smartest gadgets to help you find your dream property. When attending viewings, you need to be able to find your prospective property quickly and easily. With your busy schedule and limited time windows to go and view property, it’s important to have an accurate device to lead the way. Many GPS devices aimed at car users are criticised for being dangerous for the driver. They are accused of distracting the driver who needs to look at the GPS device every couple of minutes in order to follow directions. This all changes with Garmin HUD. The Head-Up display on this device receives navigation information directly from your smartphone and projects it onto a transparent film on your windshield. With automatic brightness level adjustments, its projections are clearly visible in direct sunlight or at night. No more distraction, and no more getting lost. The Apple Watch opens up a whole new world of device connectivity. We are all familiar with the anxiety that comes from waiting for messages from your real estate agent and other professionals helping you to close on a home. 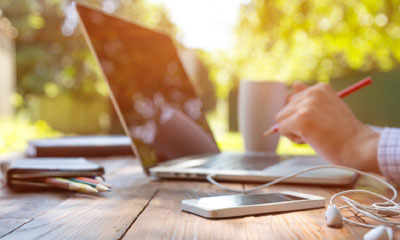 Whether you’re waiting to hear about a viewing, waiting to hear if your offer was accepted, or waiting to hear the results of a survey, you need to be fully connected at all times. The Apple Watch can help you with this. Rather than needing to get your iPhone out every time you are checking on that important message, you can simply look at your arm. You can’t miss a notification, and your response time can be made much faster. Wirelessly pull high quality digital images onto your smartphone with this 16MP camera from Kodak. When you’re a prospective buyer, you often need the advice and opinions of your loved ones in order to make decisions. People often prefer to use a high quality camera to take clear pictures of properties. When you can share these high quality images with your loved ones so easily, future repeat property visits become less urgent; your loved ones have already seen a clear picture of the property’s features. The camera connects to WiFi networks efficiently and unlike taking photos with your mobile phone, you don’t have to compromise on picture quality. Imagine walking around a show home and realising that you have all the technology under the sun, but no pen and paper. You need to scribble. You need to draw. You need to save these drawings on your iPad and save them for later. Now, with the Livescribe 3 Smartpen, all of this is possible. With 14 hours of battery life, this pen will last and last. When paired with your iPad or iPhone, you can tag words, and convert your handwritten scribbles to editable, typed text. This will help you to keep a track of what you think of the properties you are viewing, access the notes, and edit them later. Voted the best 7in and 8in small tablet of 2016 (PC Advisor), this compact tablet will be your best friend during your property hunt. With its thin, light, and beautiful design, this device is a joy to carry around in your pocket. Since the device is fully compatible with Microsoft Office, you can keep an Excel spreadsheet in your pocket to score the different properties you see, comparing them and having easy and fast access to your spreadsheet wherever you go. Take photos using your tablet and compare different properties. This is made easier with the Multi Window technology built into this device, and you can split your screen to compare different features of each property. This will help you to make a more well-thought-out choice.